The Nutrisystem program is probably the most popular weight loss nutritional system across the United States. We will start by highlighting the key features of this weight loss method; then we will consider how Nutrisystem addresses various types of public (women, men, vegetarians, etc.). As it has been around the block a few times, we will see how others have rated it, and finish with a glance at potential alternplaatives, because the demand for this kind of dieting has certainly not been depleted, with a host of companies being more than willing to fulfill it. At the beginning of the 21st century, public opinion along with the majority of medical specialists denounced depression as the defining medical condition of the future. After almost two decades have elapsed, we must acknowledge that the dreaded mantle has been passed on to obesity, at least if we are concerned with the developed world. Metabolic disorders are notoriously difficult to treat by mainstream medicine because there are simply too many variables involved – from genetic traits to economic and lifestyle issues. Nevertheless, when a problem arises in a free, open society, there will always be individuals and companies claiming to address said problem, with profit as their incentive. After all, diets and dieting have been a big business for close to fifty years now. With the ubiquity of the Internet and rise of delivery services, dieting companies were bound to explore this avenue of reaching out to potential clients. This is how diet delivery programs have been thrust upon us. It sounds exquisite: follow a “scientific” nutritional regimen without the hustle of food selection, shopping, cooking and deciding which goes where and when. Have a whole month’s worth of food delivered right to your doorstep. 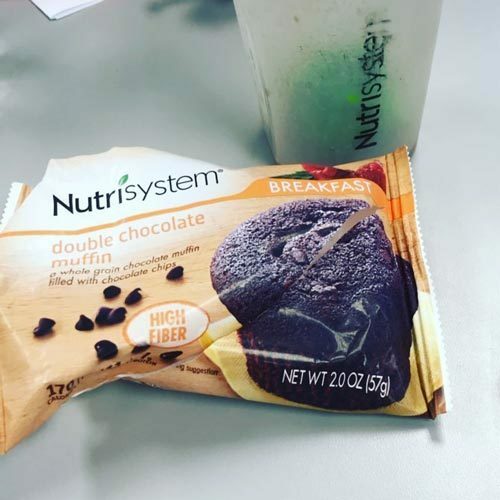 4 Where Can I Buy Nutrisystem? When we refer to Nutrisystem, we mean the actual diet plan with the home meal delivery aspect being its key feature. Nutrisystem, Inc., on the other hand, is the company which provides this service, an enterprise founded more than 40 years ago in Pennsylvania, thus possessing a lot of experience in this area. Though the firm’s official website does not provide exhaustive information about their other activities, it seems that the delivery business is currently its main activity; other associated pursuits being left in the care of other enterprises in what is actually becoming a veritable diet holding. We will revisit this institutional angle towards the end of this section. Adequate Portioning – one of the most difficult parts of self-imposed dieting is designing and monitoring the right quantity of food for each meal. Furthermore, it is common knowledge that the body gets its necessary amount of calories before the feeling of satiety is achieved. Nutrisystem designs its portions in a manner where the client will have a daily intake of no more than 1200 calories (for programs aimed at women) or 1500 calories (for men). Adequate Nutrients – Nutrysistem’s plans draw from their considerable nutritional experience, thus providing foods which make up just the right amounts of daily, weekly, and monthly protein, fats, and carbohydrates. High Meal Frequency – eating five or six small to medium meals a day, as opposed to two or three large ones, relieves the pressures put on the organs involved in digestion, while also delivering the desired figure as an end-result. Obviously, one cannot thrive for very long on a package of frozen portions delivered once every four weeks, these needing to be supplemented at least with fresh fruit and vegetables. To this end, Nutrisystem provides a grocery shopping guide, along with instructions on how to incorporate food from outside sources into your daily schedule as to not stray too much from the diet. 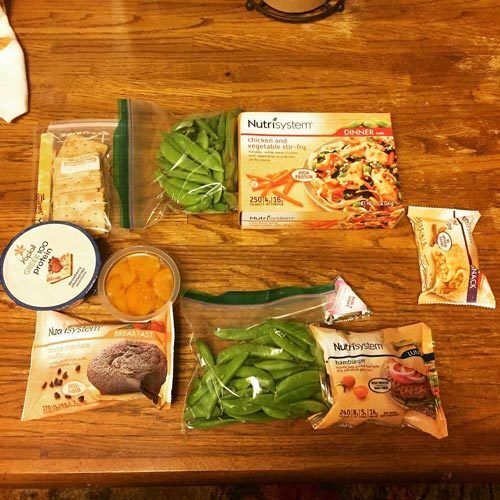 To complement the delivery service and shopping handbook, the customer also has a mobile app to further immerse herself/himself in the Nutrisystem weight loss plans. The app provides practical advice on how to incorporate light and medium exercise into daily activities (naturally, no such regimen can be effective without a touch of physical effort), allows you to track calorie intake and weight progress, provides useful advice on how to maintain a particular figure once you go off the Nutrisystem program, contains the contacts of nutrition experts sanctioned by the company. There is also a huge repository of tips and tricks, with new articles being posted at least twice a week. Now, this is surely a diet firmly entrenched in the 21st century. Before we analyze each plan in the Nutrisystem meal delivery program, we should elaborate on the institutional aspect. It has to be said that Nutrisystem, Inc. is a trustworthy company, some may even call a pioneer in the field. It was started in the 1970’s and initially provided all manner of counseling for individuals looking to lose weight. Right at the beginning of the Internet boom, at the end of the last century, they shifted the paradigm, premiering their current model of offering dieting solutions directly to their clients. 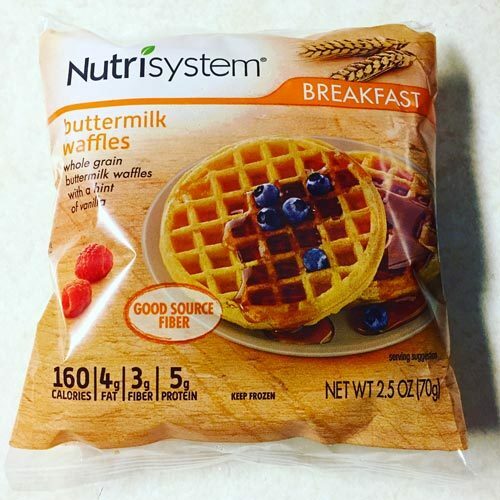 A first positive point for people looking to access Nutrisystem’s services is that they are a public company, listed on Standard & Poors 600 Index – medium-sized and large enterprises which have a market capital of at least $400 million as of 2017. 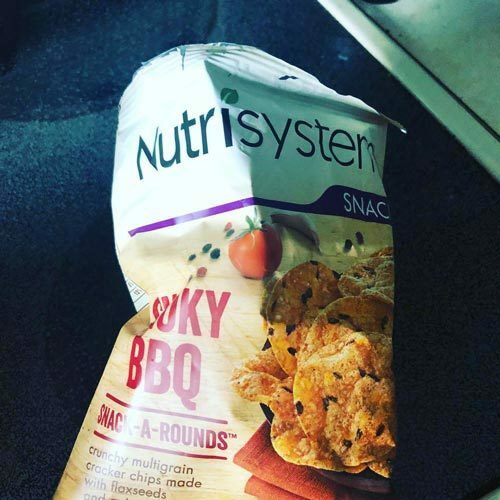 Because they are listed on the Nasdaq, Nutrisystem cannot afford to be a complete waste of time and money for their clients, as their stocks would drop sharply, especially at the rate information disseminates nowadays. Granted, there are many complaints and shortcomings to this delivery-based diet. Nevertheless, no doubt exists as to its partial success. Furthermore, Nutrisystem, Inc. is financially a secure and quite profitable venture, a fact signaled by their recent purchase of South Beach Diet – a major player in the publishing niche of weight loss business. A few preliminary statements are necessary before commencing with the description of each plan made available by Nutrisystem. We all know that being on a diet is more a willpower feat of strict routine adherence (on top of everyone’s other, usual routine) than one of ascetic fasting. Therefore, Nutrisystem advises recurring mealtimes, with the following exemplifying timetable: breakfast at 7AM followed by a light snack about three hours later, lunch at 12:30 PM with the same three hour interval to a more sturdy afternoon refreshment, and dinner at 6:30 PM followed by a sweet (though hypocaloric) indulgence before bed, at 9 o’clock. Another consideration must be made regarding the actual structuring of the plans. The client receives the frozen meals for a 4-week period, that is 28 days, not a whole month respective to the exact monetary amount. The individual plans offer a small amount of leeway to the client (typically one type of meal – breakfast, lunch or dinner – once a month, albeit under strict provisions) which, alongside daily snacks, require a small imaginative effort in the case a restaurant is out of the question. Smart Carbs are a group of foods (generally fruit, but also bread, pasta or chickpeas) which have the role of providing and maintaining the feeling of satiety for a longer time and are no more than average from a glycemic point of view. 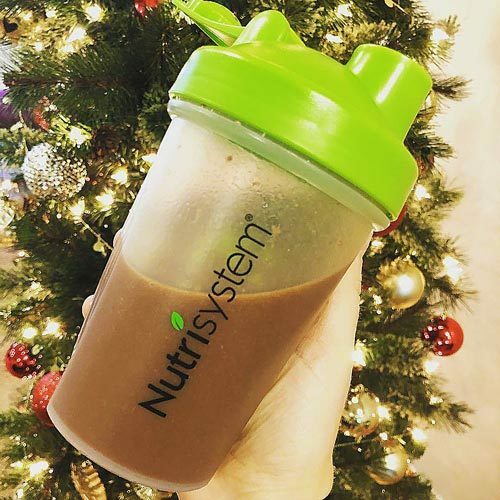 The Nutrisystem guide specifies that one serving should be in the range of 100 calories, but also that fruit are generally best eaten (to provide the necessary intake of fiber) rather than juiced. PowerFuels – this category contains meat, dairy products, and From a biochemical standpoint, they are fatty acids which do not place a strain on the circulatory system. The same threshold of 100 calories also applies. Vegetables – the vegetables in this group are mostly the leafy ones and some roots, those low in starch, as those come under the Smart Carbs One serving means a cup of raw veggies or half a cup cooked. Canned vegetables are frowned upon, as they typically contain counterproductive amounts of sodium. Extras are snacks usually forbidden in most diets – syrups, chocolate, mayonnaise, pickles or salad dressings. However, if one sticks to the rules imposed by Nutrisystem – no more than 35 calories three times a day (never two days consecutively), it should not impact the outcome of the weight loss plan. While more and more men are addressing their weight issues with the help of structured diets (and meal delivery plans should have an extra appeal for them), there is no big secret that women remain the bulk of clients for companies providing these types of services. Furthermore, on average, plans for men tend to be a bit more expensive than their “feminine” counterparts. This plan consists of standard dishes for the three meals of the day, along with a daily snack. From a financial standpoint, the $9.96 per day (or $278.99 for the standard four-week period) seems like following the Nutrisystem plan would actually save you money, compared to eating in a non-structured manner. The problem is, as stated above, you would have to do your own extra-grocery shopping, and if you do not have a taste for a particular dish, then you are out of luck. Furthermore, there are three meals a week (one breakfast, one lunch, and one dinner) specified to be self-made, or reserved for a meal at a restaurant. 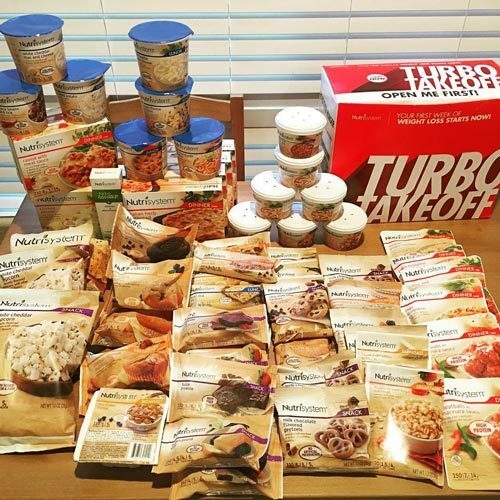 To get you on the fast track to weight loss, Nutrisystem offers the option of upgrading your order with the Turbo13 (formerly Lean13) option – a combination of shakes, protein bars, and other gimmicks – integrated in the original plan and designed for immediate results: 13 pounds and 7 inches circumference lost in the first month of dieting. One week’s worth of Turbo13 goodies is included in the first basic plan order. The Core Plan does not differ too much from the entry-level option; it is simply an offer in which the client can customize the frozen food meals, selecting favorites from 100 dishes. Also, it is not that much more expensive, costing $10.68 per day or $298.99 for the minimum four week period. The Turbo13 jumpstart is, again, in place. One could argue that, especially if one is not that fussy about food, these minor differences in pricing and overall services are not worth having two different, yet so similar, plans. Nevertheless, it is well known that Nutrisystem tweaks their programs quite often, and this might be just part of a temporary situation. The extra option of appointments to Nutrisystem-certified nutritionists in your area may be worth your while, however. 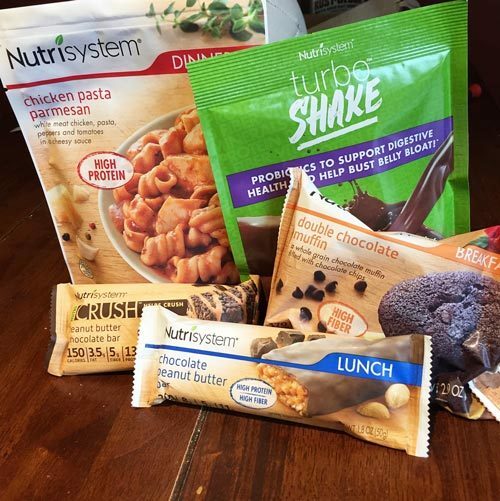 This is the ultimate meal delivery alternative from Nutrisystem, a bit more expensive than the Core plan, requiring $343.99 for the four weeks (or $12.29/day). This time around, the client can fully customize their menus – including daily snacks and extras – and choose from 150 main courses which now goes beyond frozen food. One can also select a pre-arranged menu, though we believe that would defeat the purpose of purchasing this “premium” pack. 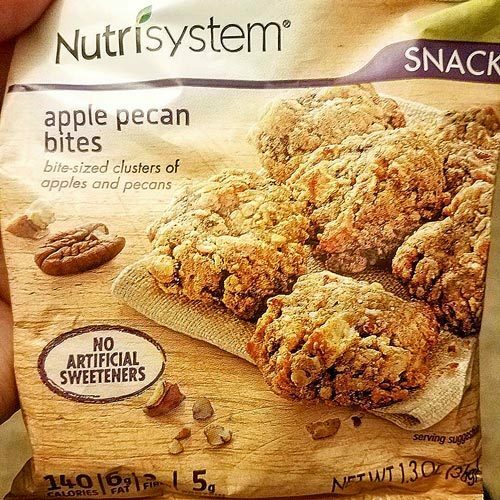 As one can easily imagine, Nutrisystem’s programs for men are just a variation on the theme explored in the previous section, with a single substantial departure: men are entitled to an extra snack a day, hence the slightly heftier plans. There is also the small matter of the corresponding Turbo13 scheme. For men, it is called Turbo Takeoff, remaining true to the seven inches of waist evaporation, but upping the ante of total weight to 15 pounds lost in the first month of dieting. All other features described above are the same, apparently with the exception of the price – men pay for their extra morsel $40 more per 4-week interval for all three plans: $318.99 for the Basic plan, $338.99 for the Core plan, and $383.99 for Uniquely Yours. 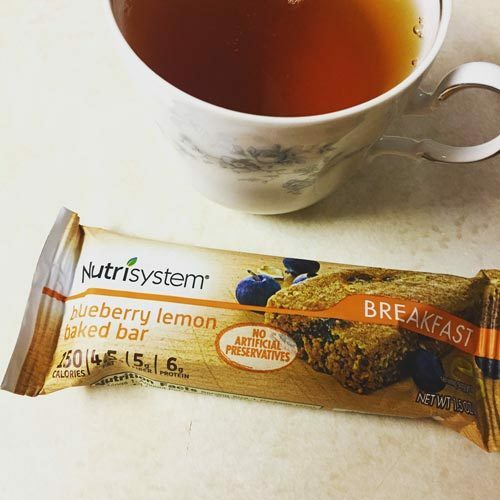 The only remarkable feature one can extract from studying Nutrisystem’s package for individuals suffering from diabetes – named Nutrysistem®D® – is the absence of any existing jumpstart package for the first. This aspect seems quite logical, as crashing into a whole other diet may have serious side effects for people with a chronic condition. Other than this detail, the three plans – Basic, Core, and Uniquely Yours – remain the same as in the original situation, with prices unchanged for both men and women. We should add that the frozen food menu is slightly smaller, from a numbers point of view than non-diabetic one, yet we could also suppose that designing such a list is also a bit more expensive. This diet plan was carefully examined in a clinical trial that went from March 2007 to March 2009 and the result was encouraging to say at least. 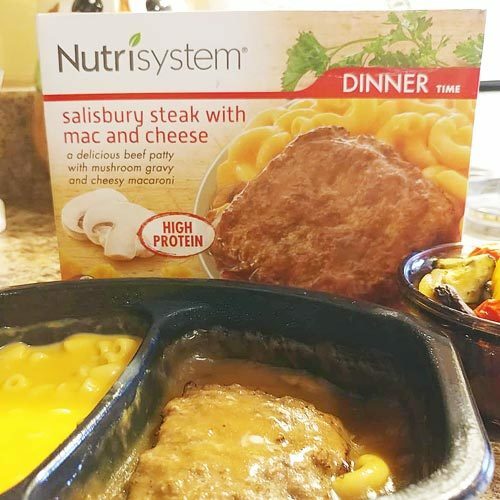 Nutrisystem has devised a meal delivery diet for vegetarians also, probably at the pressure exerted from similar competing enterprises, as it was not available in the original scheme of things. The layout is pretty straightforward: a single plan corresponding to the Uniquely Yours for both women and men (with the same $343.99 and $383.99 respectively, from the financial viewpoint), keeping the Turbo13 first-week feature for women and Turbo Takeoff for the men. 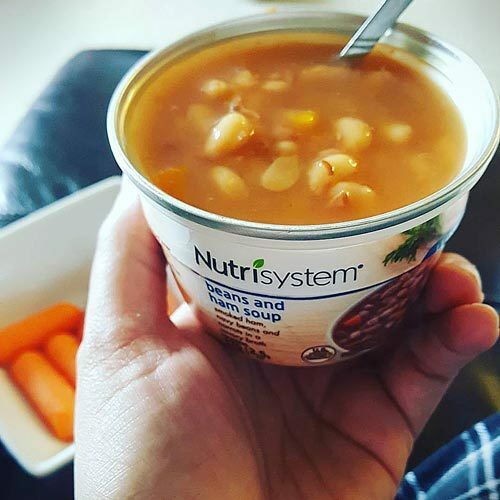 Nutrisystem and similar providers of meal delivery dieting programs rely on a simple recipe – small portions, frequent meals, a cap on sodium intake; rational eating, in a nutshell – made attractive by way of convenience. From an entrepreneurial angle, one must take the proverbial hat off for the company. Nevertheless, a single dieting scheme cannot work for all individuals. There just is no science to back such a statement. As we have stated at the beginning of this article, Nutrisystem is too big a company for their services to fail miserably. Official testimonials aside (and they abound), the problem is not that the Nutrisystem plans do not deliver weight loss, it is what happens after the individual goes off the Nutrisystem nutrition scheme. A comparable restraint in caloric intake must be exercised when returning to foods that have not been so carefully selected, prepared, and delivered. There truly is an impressive consensus that by adhering to this diet, between one and two pounds per week should disappear momentarily, from the most obscure Internet reviewer to the most trustworthy outlets such as WebMD. Nevertheless, there are a couple of caveats, chiefly concerning the “Turbo” aspect, or more precisely its immediate incarnation, Lean13. It is notoriously difficult to follow, and the seven-inch reference could be construed as a joke. Even the most dogmatic converts have never managed more than 10 pounds. Brushing against jokes, the same can be said about the scientific study Nutrisystem cites: in favor of Lean13, claiming to have obtained encouraging results on a large number of subjects. Maybe the marketers of Nutrisystem should have paid more attention to a 2012 study, published the following year in the American Journal of Hypertension, which concluded that reducing the calories in the diet of obese women (along with moderate exercise) improves arterial function specifically, and cardiovascular health on the whole. The hypocaloric regimen used in the experiment was the one designed by Nutrisystem. Casting obvious biases aside, there simply is no history of weight loss programs being so carefully designed and followed as to constitute subjects for scientific studies. It is nigh on impossible for a whole aspect of human behavior to be monitored and to match the draconian standards fit for the hard sciences to explore. Naturally, some individuals may object as their meals use genetically modified compounds, it does not have the best quality of ingredients, and would never fall under the “organic” designation. That said, it is more than affordable for a large share of Americans, it features an excellent mobile app to aid in a diet, and addresses men, women, vegetarians, and diabetics. 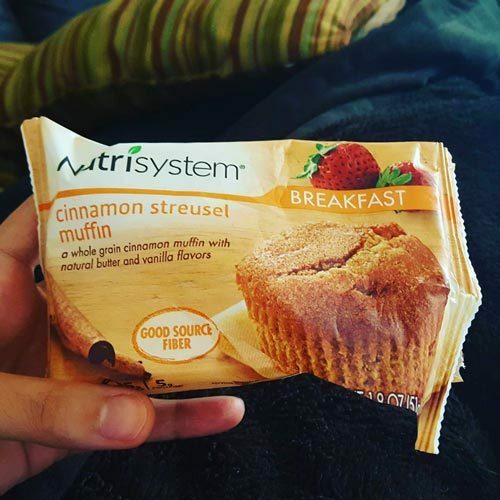 Where Can I Buy Nutrisystem? Nutrisystem is available for purchase on its official website, Amazon and Walmart. If you make a purchase from the official website you will more likely get free shipping and a better price, not to mention various discounts. There are more than 15 companies that offer diet delivery services all over the US territory, or at least the continental USA, plus hundreds of others that operate on a smaller scale. Of these, Nutrisystem is the trailblazer and possibly the one that offers the best services, especially when the price is taken into consideration. Nutrisystem may take a while adjusting to and may not seem the brightest gem of an already sizeable basket, yet if your weight loss objectives are not of the highest order, it indeed is worth a try. PreviousPhen375 Reviews, Ingredients and Ratings: Worth Buying or Not?